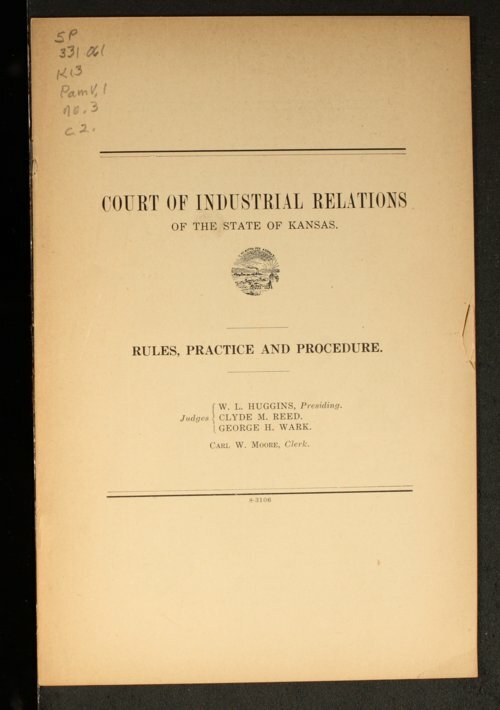 The Kansas Court of Industrial Relations, Topeka, Kansas, published these rules, practices and procedures. W.L. Huggins was the presiding judge with Clyde M. Reed and George H. Wark also serving. Carl W. Moore served as clerk.